I’ve been playing with Kinect over the past few days, and I gotta say: It’s the most significant consumer product the company’s released since Windows 95. It’s not a home run—at least not yet. But it’s definitely a double stretching for a triple. Where’s Brooks when I need him? 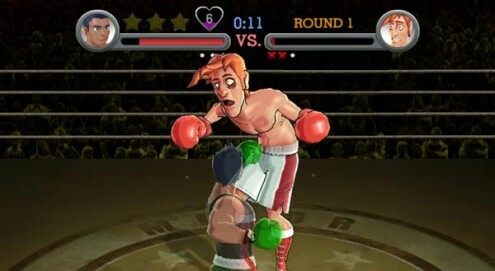 I got the new Punch-Out for Wii today and have been reveling in the nostolgia and reliving the combos required to beat each opponent. Currently I’m stuck on that frackin’ Great Tiger, who uses tricky teleportation punches to win. Cheater. My older brother Brooks was always better at this game. Where’s a good wing man when you need one? 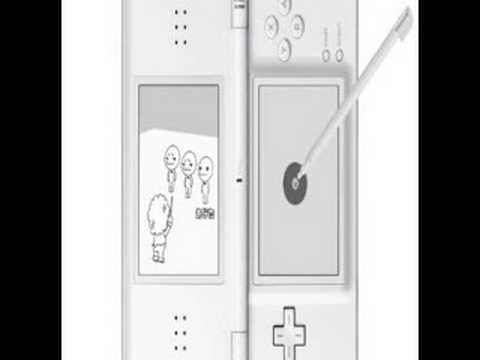 If you have a DS, please head to your nearest Wii, game store, or DS kiosk to download a free demo of Rhythm Heaven. The above video does a better job explaining the game than I ever could, but in short, you tap, flick, hold, and slide the DS stilus in rhythm with the music to produce a desired effect… say building robots on an assembly line. It’s as crazy as it sounds, but also a lot of fun. I haven’t played a game that made me smile this much since World of Goo. The full version comes out April 6. When I first heard the news that Steven Spielberg was working on an exclusive Wii puzzle game, I was skeptical. What does he know about videogames, especially non-story ones like Boom Blox? On the subject of his pedigree: Sure he directed “Raiders of the Lost Ark,” “Jaws” and “Saving Private Ryan,” but he also directed “A.I.,” “Temple of Doom” and “War of the Worlds.” I think you can appreciate where I’m coming from. After playing the game, however, I’m happy to report that Boom Blox is not just a marketing ploy or a misguided idea by the venerable movie director. It’s an inspired, console-appropriate and rewarding game — particularly for single-player challenge-seekers — even if it appears to be something that Spielberg wouldn’t be involved with. In March 2007, BBC technology editor Darren Waters wrote, “LittleBigPlanet is perhaps one of the most dazzling demos I’ve seen in the last 10 years.” More than a year later, after an extensive hands-on in late April, I can only say the same. LittleBigPlanet looks, plays and feels incredibly fresh — even for an unfinished game. It’s no wonder Nintendo president Reggie Fils-Aime was covetous of developer Media Molecule after the exclusive PlayStation 3 title was revealed last year. Here’s an update on its development. Mr. Bright Side, here, back with more. This time, I focus on the increasing role of videogames as rehabilitation products, surgical guiding lights, brain developers, an aid to cancer researchers and tools for paramedics training — no, I’m not making this stuff up. Hawk’s back with more sick skateboard combos in Tony Hawk’s Proving Ground — does the game prove itself on the Wii? Blake Snow reviews the skate park sim developed by Page 44 and published by Activision. Amid the myriad of mediocrity and contrary to popular belief, there are several high caliber Wii games deserving of your time. These are the best so far limited to only one mini-game and excluding GameCube ports. Let the listing begin! 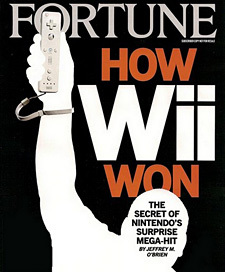 GamePro: The Wii won, but for how long? To fade or not to fade, that is the question. Fact: Nintendo’s Wii is on track to outsell Sony’s record-setting PS2 at 115 million units sold. That’s according to comparative NPD sales data for both systems. No other console has sold faster in its first eight months of availability than the Wii. Despite its undisputed initial success, however, several industry pundits remain unconvinced. “The Wii will fade,” they say, suggesting that the machine’s novel motion-controls and antiquated graphics will soon cause the system to wane in popularity. Nintendo’s Wii gaming system has been a hit on the marketplace, but to keep the momentum, the company is making a strategic bet, and turning it into a developer platform. With enough developer momentum, iconic products say an iPod or Facebook, can become a mass market phenomenon. Nintendo today announced a new indie developer platform for its widely successful Wii console, likely to launch in early 2008. Dubbed WiiWare, the service is said to enable developers to create smallish, new games via download on the motion-controlled system.